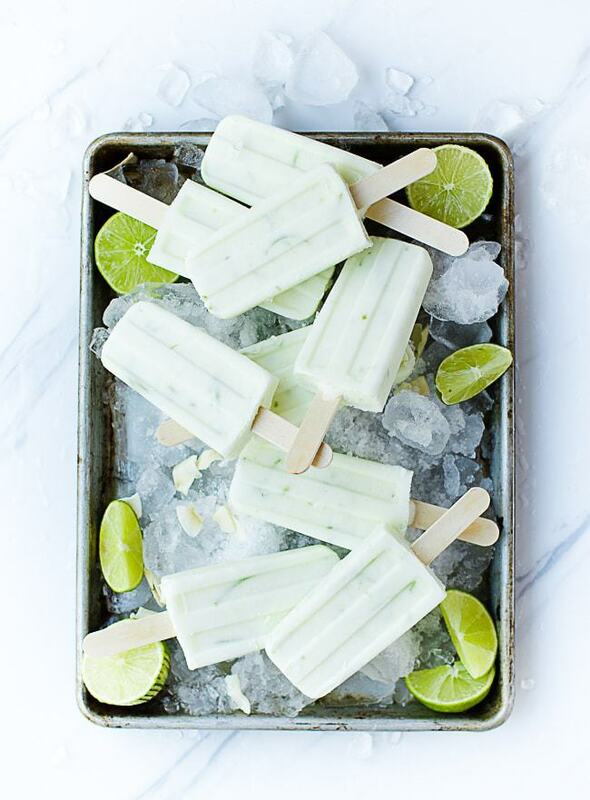 Lime popsicles are 100 percent a weakness for me. Add coconut and I’m a goner! 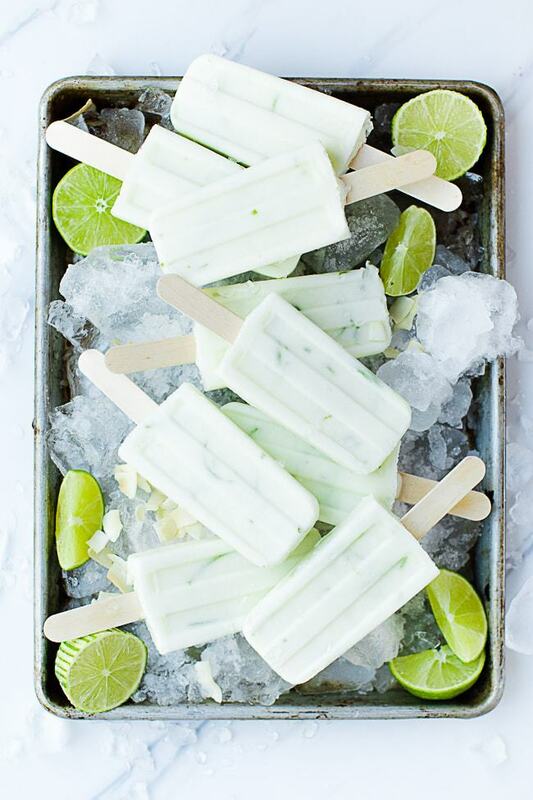 You’ll be eating these coconut lime popsicles allll summer long. 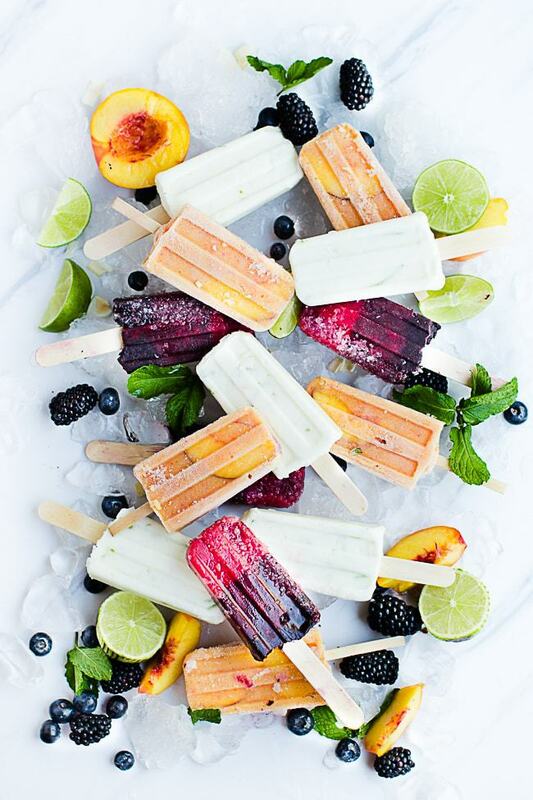 While some of our other popsicles and smoothie pops are healthy and totally edible for breakfast (like these peaches and cream popsicle or this triple berry popsicle) this one is definitly a dessert popsicle. Although, you cannot deny it has some really good ingredients. 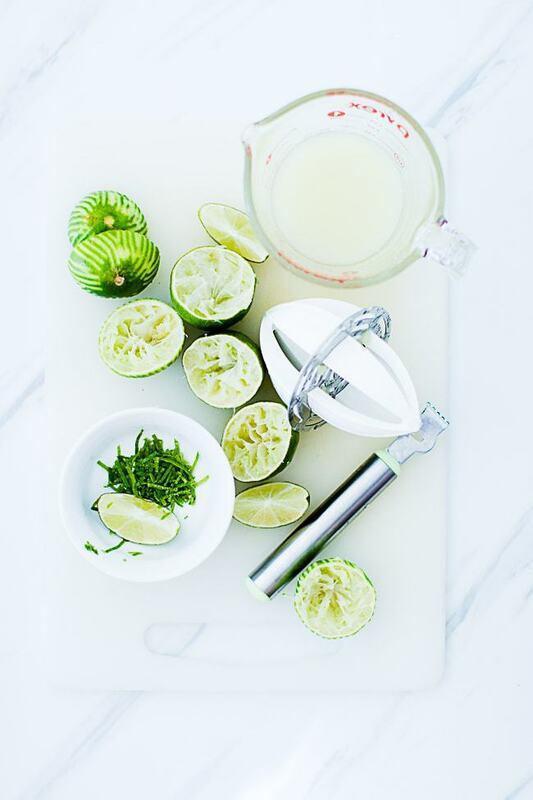 I love to juice my own limes- I really feel they have so much more flavor fresh than store bought bottled. Juicing your own is so easy! TiP: whenever you have an extra acidic/tart citrus and you want to enhance the flavor without making it more tart use the peel! zest some of the citrus and it will add a burst of flavor. You’ll want to do that for this recipe! This is the sweetness to contrast the lime tartness, and it is delicious. You literally could eat it by the spoonful! Grab it in the wine and spirit isle by the rose grenadine and soda water! I love to use greek yogurt in my popsicles because of the nutritional benefits. The calcium and probiotics are great for my kids! What can I substitute if I’m dairy free? You can totally substitute the vanilla greek yogurt for coconut milk or coconut cream. After its blended pour it in the mold. 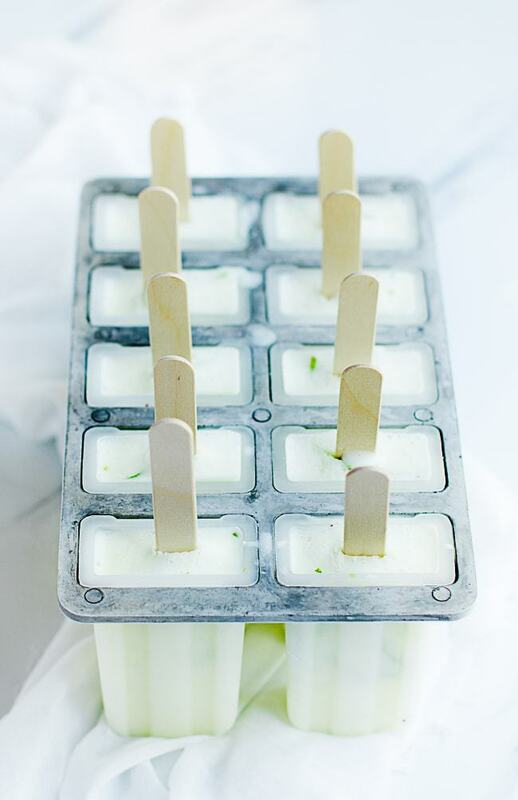 I like to again add little more zest to the popsicle to make it colorful and more flavorful! Pour the creamy liquid into the molds slowly. Let them freeze for a few hours more hours until completely frozen. When you’re ready to pull them out let them defrost for a few minutes or run the outside of the popsicle mold under hot water for a couple of seconds to help with removal. 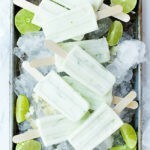 Creamy, sweet and tart, everyone's favorite coconut lime popsicles. 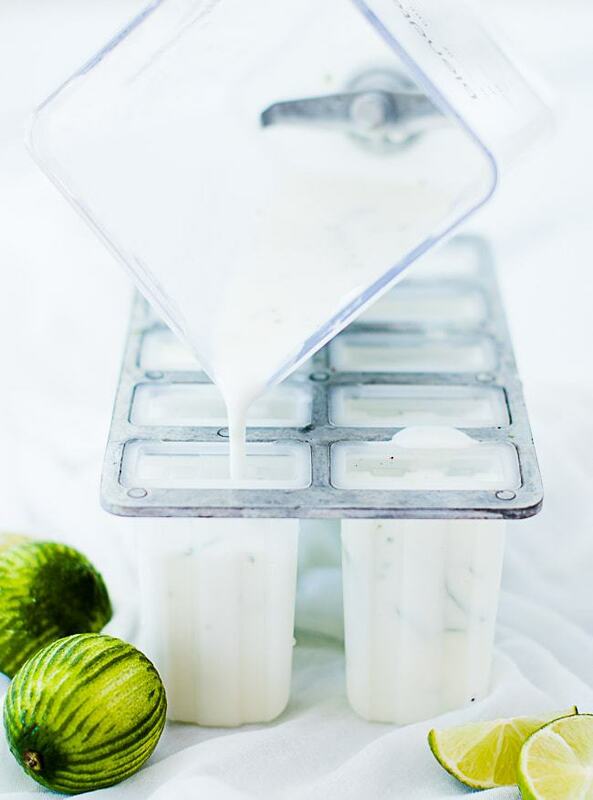 Easy to make and delicious this coconut, lime and yougurt popsicle will be a hit. Juice limes and zest two limes. 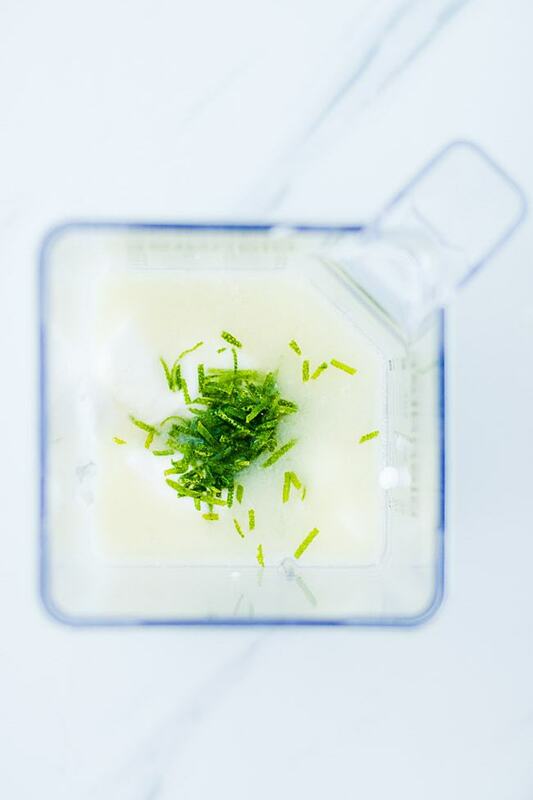 In blender add vanilla greek yogurt, lime juice, lime zest, and cream of coconut. 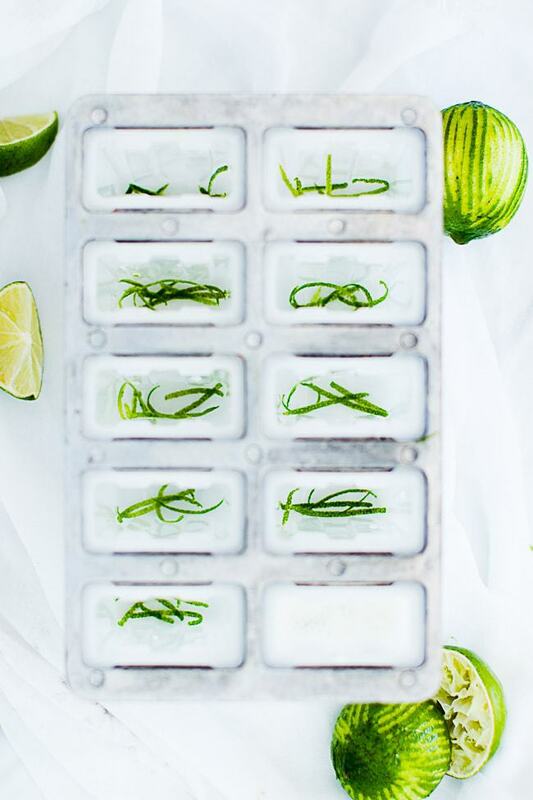 Pour in popsicle molds and allow to freeze for 1 hour. After popsicles are starting to firm up add popsicle stick and allow to freeze completely. 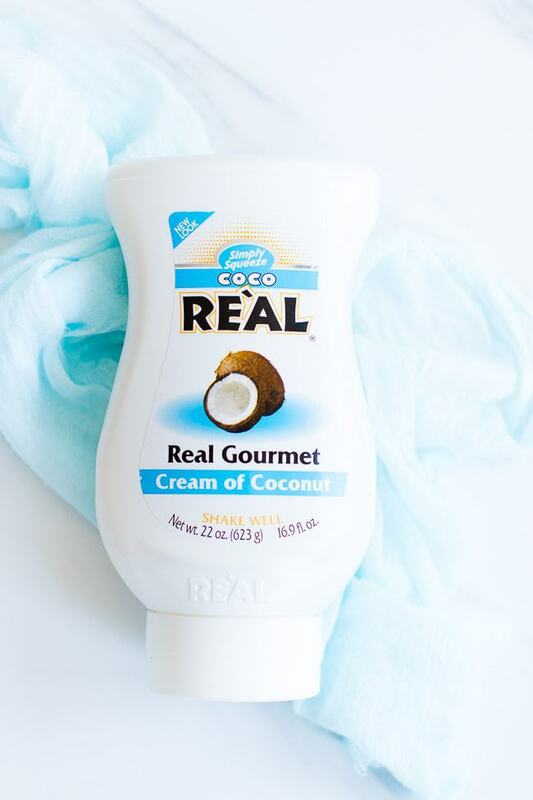 If you are looking for a dairy free option you can use coconut milk or coconut cream as a yogurt substitute. You can also use toriani coconut syrup as a substitute for the cream of coconut if in a pinch. Ok, these are adorable. And so yummy sounding! 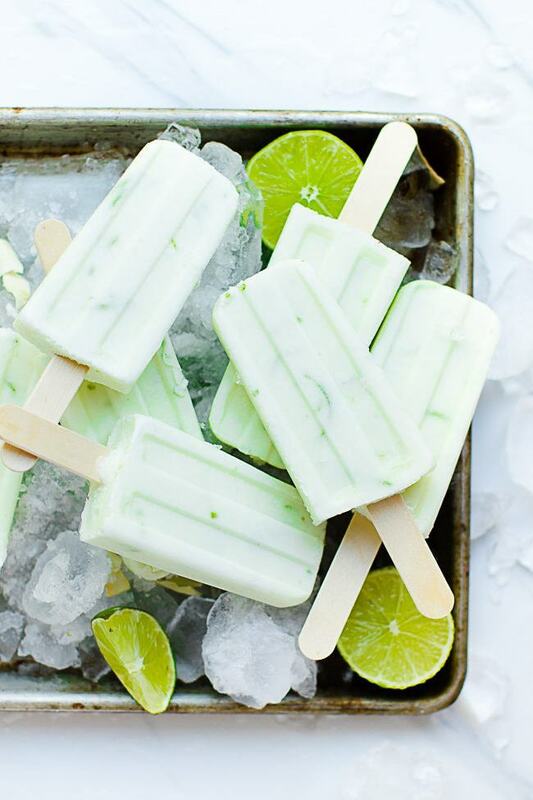 lime is also my favorite- we are loving these!